Our product range includes a wide range of suspended platform, construction suspended platform and suspended working platform. 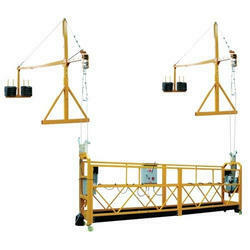 We are a remarkable entity, engaged in manufacturing a superior assortment of Suspended Platform. This vertical moving platform for onsite works like plastering, painting, cladding and many others to replace conventional scaffolding. 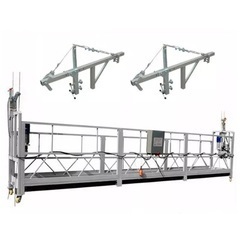 It is a separate mechanical unit, which automatically locks safety wire rope when the working wire rope breaks or suspended platform tilts to its limits. Available in different specifications, we offer this Suspended Platform according to the clients' variegated requirement.